Tens of thousands of people are expected to come to Milwaukee for the 2020 Democratic National Convention. But the ripple effect means many of those people will stay and play in the surrounding counties. Waukesha County is excited that projects already in the works, including two new hotels, will benefit from the DNC. Nancy Justman, the CEO of Visit Brookfield, says it adds a new air of excitement to the projects. 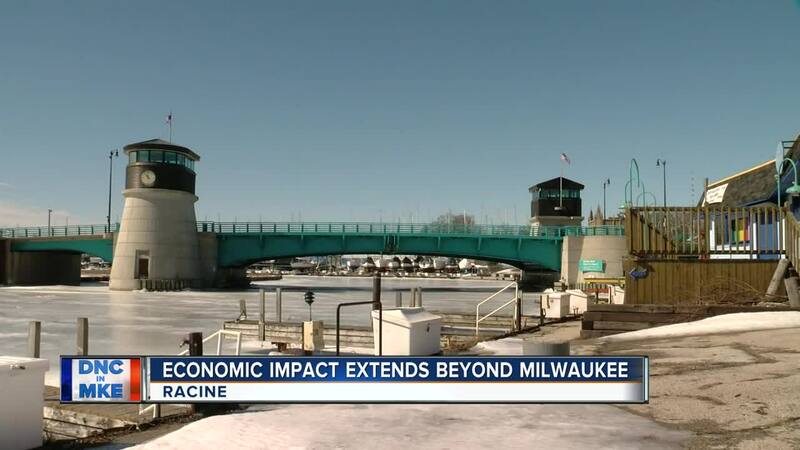 “We’ve been working with our hotels as well as our partners with Visit Milwaukee to bring everyone into the fold to make sure everyone’s on the same page and prepared for all of it,” Justman said. Two new hotels and additional entertainment venues under construction in the area are scheduled to be finished before the DNC arrives. Also working on logistics is Brookfield's neighbor, Pewaukee. Elaine Kroening of Positively Pewaukee says they welcome the DNC and all the crowds that will come with it. “We are definitely excited about the DNC. Any time there’s a large group of people coming to our area we want them to come out this way,” Kroening said. Downtown Racine businesses are also thrilled to potentially get some of the action from the DNC. Sandra Johnson has owned the Lochnaiar Inn in Racine for five years, and an event so close the size of the DNC will be a first. “We’ve had all kinds of events, but a crowd the size of the DNC we’ve never had this close by, so it’ll be interesting and fun,” Johnson said. The inn is about an hour from Milwaukee, close enough to pick up some of that increased DNC business. “It would be a fun place to stay with a little less of the crowd in Milwaukee,” Johnson said. Dave Blank, the president & CEO of Real Racine, says the entire county is ready. “We’ve had big events in Racine, so this is another big event for the entire region to be really excited about,” Blank said.